When we tried our first eyelash curler, we have to admit that we weren’t impressed. We’ll fully take the blame though; it was our fault! We thought that a badly-made curler from the dollar store was going to have the same effect as those of professional quality, and we were so unbelievably wrong. The first time we tried an actual good eyelash curler, our lives were forever changed. Our mascara took on a whole new life, and our lashes were on point from that day forward. Looking for a curler that will have that same effect? Look no further. Shop With Us: Grab Kylie Jenner’s Latest Lip Kit While You Can — Only at Ulta! The Eyelash Curler by Kevyn Aucoin is a miracle when it comes to makeup. Model and actress Rosie Huntington-Whiteley would know, since it’s her go-to eyelash curler! She showed off exactly how to use it in a makeup tutorial video for Vogue India, explaining how she achieves a “quick and easy” metallic eye that wows during dinner dates or drinks with friends! See it: Get the Eyelash Curler by Kevyn Aucoin for just $21 at Dermstore! 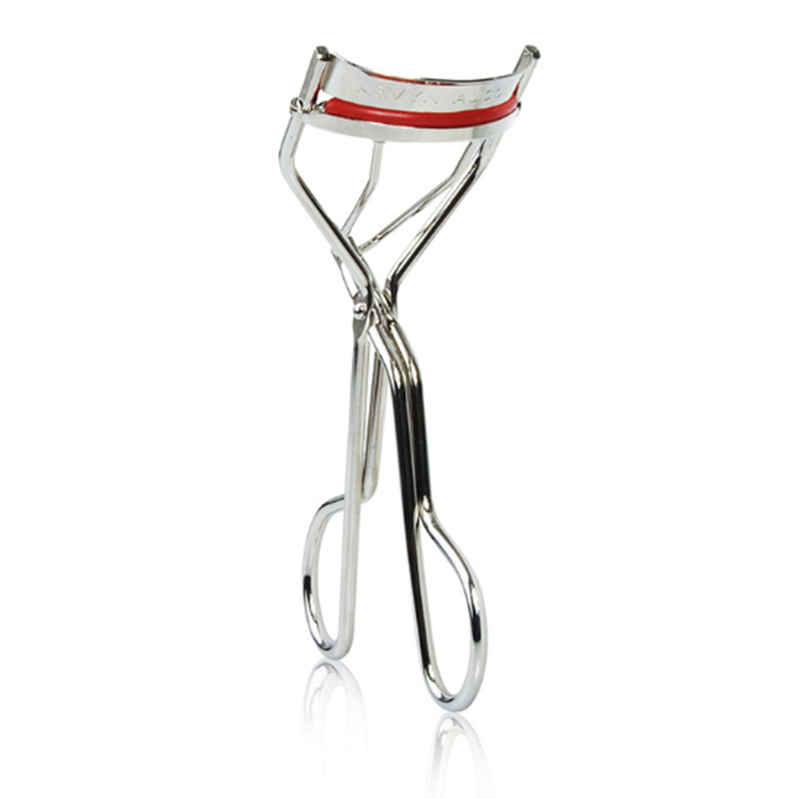 This professional eyelash curler is extremely popular among makeup lovers, who are leaving stellar reviews about it. One said their lashes “have never looked better” while another said their lashes hold their curl “all day with no product.” Perhaps the most telling story is that of a shopper who chose to use this eyelash curler on their wedding day because their makeup artist’s couldn’t compare! Others assured that this is “not like the cheap ones at drug stores” and that it’s “very gentle,” so we shouldn’t be losing any lashes in an attempt to accentuate them. One pointed out that “it even gets to those corner lashes” that other curlers leave behind! This award-winning curler is made of a sleek and slim stainless steel frame that’s easy to hold and easy to use. It has red rubber pads at the clamp, curving to fit almost any eye shape so we can all achieve that enviable curl. Kevyn Aucoin claims this little tool will “bend lashes to perfection” and leave them “wonderfully curled” for a supermodel-like stare. During his 20-year career, Kevyn Aucoin’s work could be seen on the biggest stars around, including Kate Moss, Madonna and Elizabeth Taylor, so he clearly knows how to properly curl a lash! For Huntington-Whiteley’s tutorial, she wanted to create a “versatile” yet “glam” look. She started off by filling in her brows and applying pink eyeshadow, using her concealer brush to clean up any messy lines or loose glitter. Too relatable. She then continued with a soft brown eyeliner, smoking it out slightly for a winged tip. Then comes the fun part: the eyelash curling! She pulled out this Kevyn Aucoin curler and clamped her lashes, pumping the tool continuously for a few seconds before releasing and gently pulling it away (she emphasized “gently”!) to reveal a beautiful curl. She then follows up with just a few quick strokes of mascara, not overdoing it, because her lashes are already impressive after the curl. One thing many people don’t realize about eyelash curlers is that they’re not only meant for top lashes! If we want to achieve a “Hollywood starlet look,” all we have to do is turn the curler upside down and repeat the process on our bottom lashes. Follow up with mascara and even Lesley “Twiggy” Lawson, known for her lash looks, would be jealous! An eyelash curler changes the game when it comes to our mascara. One we thought we hated might suddenly become our holy grail when used after curling. Always curl before applying mascara, by the way! Things get messy and clumpy if we switch the order. If our mascara has a dry formula, curling our lashes second could result in breakage! It’s going to be hard to experience the volumizing and lengthening effects of our mascara if our lashes are breaking in half and falling out. We would use this eyelash curler . . . well, every day. That’s just the kind of makeup enthusiasts we are. We get that some people only want to go all out for special occasions though. In that case, we would definitely recommend using this curler for any event that encourages heels or if there’s ever going to be a camera (or selfie-obsessed friend) around! It will make such a big difference in our final look, we won’t even believe our eyes when we look in the mirror! Looking for something else? Explore more from Kevyn Aucoin here and check out the rest of Dermstore’s amazing makeup selection here!